Life is a long road trip that puts us through a lot of hardships to test our perseverance, determination and courage and along the way we collect pebbles of memories; the pleasant ones bring smile to our face each time we cut back to those moments and those, not so pleasant, are pitched away to the farthest corner of our minds. Immediately after marriage when we shifted from Pune to Kolkata, I encountered adversities galore in terms of managing household on my own. One after another maids came and went, each giving me tough time regarding regularity of coming, cleanliness and most important of all 'reliability'. Nevertheless, the girl we hired to cook made a favourable impression on me. For the convenience of understanding, I would address her as 'B' through the rest of the article. So 'B' was very young, few years younger to me and unlike other maids who were all older and hence tried means to put me down, she easily made her way to my heart by her obedient and friendly nature. Infact, within a matter of few months, she managed to earn my absolute trust and I began to rely on her completely for every small errand. At that time I used to be pretty careless with my stuff which I kept strewn all over the place. But not for a single time the thought that 'B' could pick away anything without asking me crossed my mind. I found her completely trustworthy and to some extent as I already used to give a lot of things away to her unasked, I never felt that she would breach my trust by stealing. My mother, however, heckled by and tired of her maidservants cherished a different opinion. She warned me a lot of time to remain watchful with my things when maids are around, but I, used to the habit of throwing every caution to the wind, ignored her advice most of the time until one day when a big burglary took place in a neighbouring flat two floors down in our apartment builidng that I first thought of being cautious. Continue Reading. 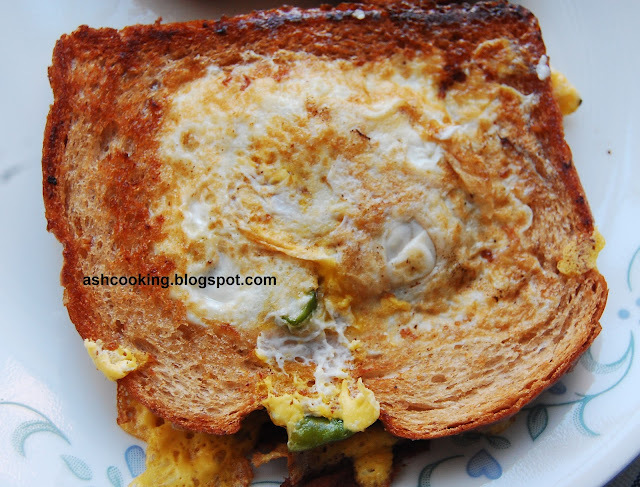 We all love French toasts, aren’t we? 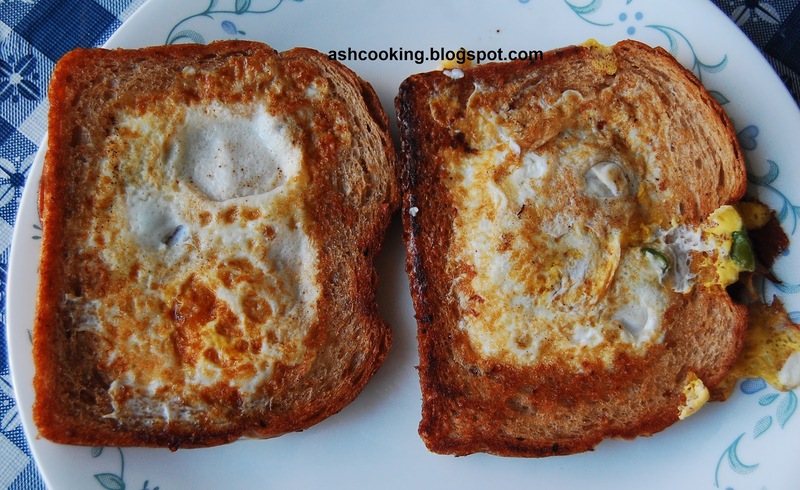 But hardly very few of us might have enjoyed French toast cooked the following way. It's one of a kind recipe and a toothsome treat on breakfast, more importantly breeze in preparation. What more can you ask for? 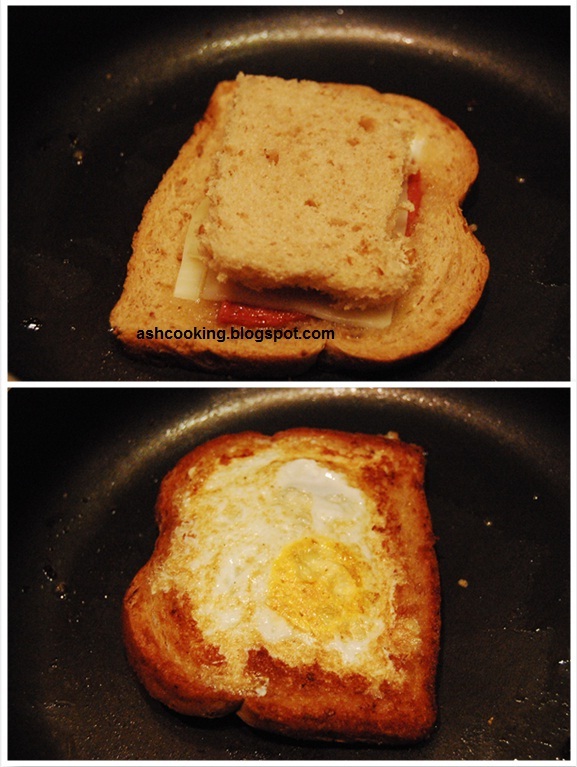 2) Very carefully remove the crust of a bread slice without tearing it apart at the sides. 3) Heat a bit of oil in a non-stick skillet. Put the crust in. 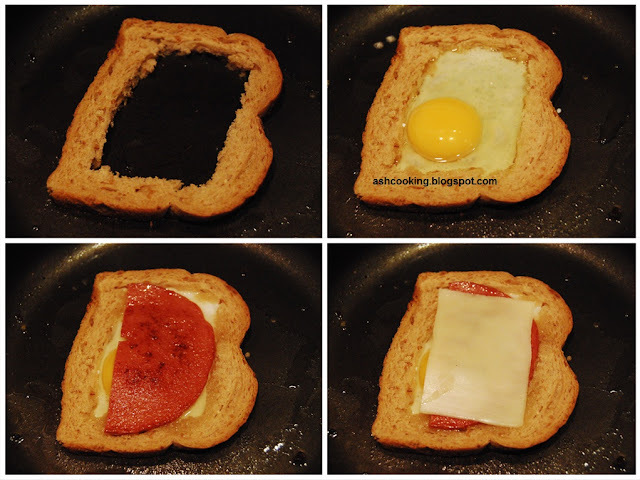 Break one egg inside the crust; be careful of not messing the yolk. 4) Sprinkle salt and black pepper over the egg and place one half of a chicken salami or bologna, followed by a cheese slice on top. Quickly cover with the remnant of the bread slice. Press down gently with the back of a spatula to help sticking.